There’s been a lot of talking going on in Sunday’s 49ers-Panthers game in Charlotte. 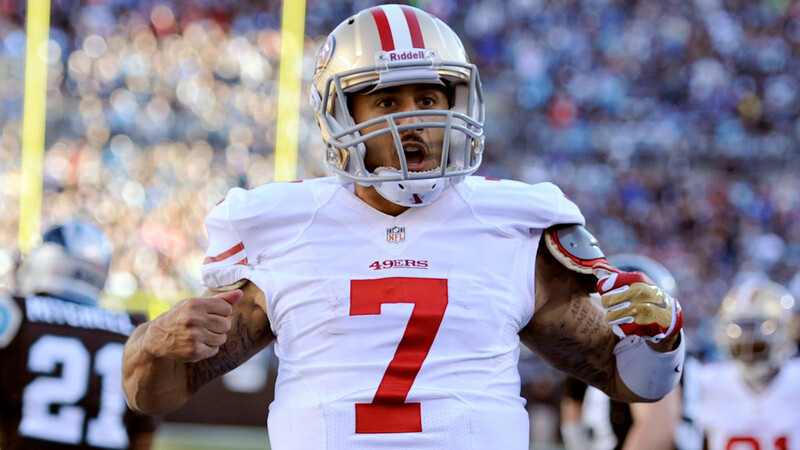 49ers QB Colin Kaepernick took it to another level, however, after scoring a touchdown in the third quarter. You know how Panthers QB Cam Newton likes to do the Superman move when he scores? Well, Kaepernick did the Superman move and then pretended to button up his shirt. Newton showed off some new Superman cleats before the game. He’s been known to do this before, but these ones were special. He can’t wear them in the game, of course, because the NFL would fine him.